There are many dimensions in life. Let’s work with this dimension properly, when you are totally relieved from this dimension, or fully satisfied in this dimension, then the other dimensions will open-up. You want a this, you want that, you want a car, you want a job, with so many wants, the other dimension will say. “We will wait, you first finish all of this”. Gurudev, why there is pain in longingness? The pain is good will make you very creative. It will bring out the poet from within you, or it will make you an artist. It can also bring out the sevak in you. It can bring out the warrior in you. You have so many good qualities, and longing will bring them all out. There was one generation of Masters who were very tough. Tough in the sense, if you desire something, that will not happen. They would nip desire in the bud. If the you would say. “I want to go to California”, then forget about it, you will never go to California. To come to a state of no-mind, they would use this tactic of crushing every desire that would arise. At some point of time you would have to give-up, and then you go to the no-mind state when you are unconditionally happy. If you would go to them and say, “Oh, I have this problem”, they would say, ”It’s your karma, bear it. You must have done something terrible, so experience it and finish it off”. That was the attitude – no compassion. Just imagine if there is no compassion, then what do you need to do? You have to stand up. A creeper needs a tree to stand up, but a tree doesn’t need another tree to stand up. So, they would completely destroy all that is delicate in you. If you are emotional, they would take a hammer. If you complain, they would say, ‘Let it be’. If you say, “Some people are blaming me”. They would say, “Yes, more people should blame you”. They would push all your buttons and make you so numb to everything in the world, till you realize that everything is nothing. It was a very tough journey. I don’t think anyone of you can survive for even one day, it was such a tough atmosphere. All that you identify yourself as would be simply ripped off. It was a long and tough journey. which very few could survive. And there would be a millions chances to doubt and run away, only the very strong could survive such conditions. In The Art of Living, we have taken a complete 180 degree turn and adopted a completely different route. Here we say, “What is your desire? Okay, let it be fulfilled”. Sometimes I wonder, “Am I making everyone weak?” But there is no option. At least this has put you on the path of knowledge. I see you all are growing. Everyone is growing but I tell you, don’t get stuck in small little things. This world is Maya. There are always some issues that will prop up in life.You will have some excuse or some incidences to worry about. When such things come, you have to remember that this is all Maya, this is all ephemeral, this is all impermanent and stand up. Your wants and desires are getting fulfilled. For some people it takes longer time, for some people it happens in a shorter time, and for some people it happens immediately. Many times, we only have put thought-constraints in our own mind. We put the sankalpa and we put the vikalpa as well. And to come out of this mess I don’t see any other path which is as effective as ours right now. If I find something better, I will myself ask you to do it. But the other generations of masters were very different. When everything is changing then how can it still be meaningful. Everything is changing and that change is meaningful. Everything is changing, and there is something which is not changing. And the changing and non-changing are two sides of the same coin. The non-changing has become the changing, that is the meaning of it. If you are confused, that means you got it (laughter). If you feel you have understood it, then you have not got it. Keep the aspiration for higher knowledge. Be content, happy and yet have aspiration for higher knowledge. These are two opposite things – one side is contentment and on the other side is longing for higher knowledge. If you are simply longing for higher knowledge without any contentment, then you will go all over the place, you will go spiritual shopping and hear and do so many things and get thoroughly confused. If you have only contentment and you feel ‘I have learnt it all’, then you will allow the passion for knowledge to die out. The skill that you need to develop is to keep the passion for knowledge, and at the same time maintain the contentment; a balance – this is the bicycle that you have to ride! Longing or craving with frustration will do you no good. The scriptures very clearly say this. If you are longing, craving and running with frustration, you will get more frustrated. You won’t get anywhere. At the same time, if you are contented, inert and laid back, and you think, ‘Anyways whatever has to happen will happen. Anyways it is all karma’, then too, you will not get anywhere. In India this is what has happened. When it comes to doing something good, people say, “God willing, it will happen”. To do anything wrong, we don’t say, “If God is willing let it happen”. When I was in Israel, they showed me two groups of people – one group of society are working hard. The other side of the society keeps saying,” If God willing it will happen”, and they haven’t ploughed the field at all. Nothing is growing on the field. On the other side, the people are finding innovative ways of farming through drip irrigation, and other things, and they are growing. So this is a sense of contentment with no passion. And there are some who have passion with no contentment. Both are two extremes. But the one who succeeds will have passion and contentment, together. If you look at Mahatma Gandhi’s life, this was there – he was content at every step and he had passion as well. He would do satsang every day, meditate, listen to the Bhagavad Gita. Contentment and passion was both part of his routine. You will also see this in all those who are successful. 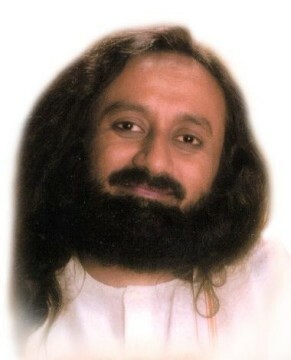 (To the crowd attending the satsang): Keep in mind, that you already have both contentment and passion. I see the contentment in all your faces, and it is because you have passion that you are all here. So, don’t doubt yourself. If you have no passion, you wouldn’t come here. You have all the virtues. You don’t have to cultivate any of these. Go with this confidence! 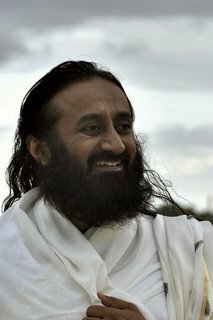 Gurudev, is there an intelligent life outside the planet earth? You can’t say no, there isn’t. To say no, you have to explore everything. If you can’t say no, it means yes. 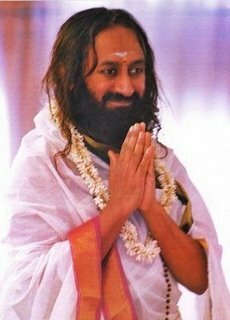 Gurudev, what is fear and what is fantasy? Many of my fears in day to day life are baseless; things that will never happen. Why do I picture the worst scenario? Fear is love upside down. If you have fear, then know that you have the ability to love. So, when you fall in love or raise in love, your fear will simply dissipate. Fear is nothing but another way of love.